Safety information to aviation companies around the world. 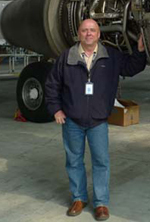 The company was founded in 1997 by Don Schoolcraft, an aircraft maintenance technician, former FAA safety inspector, and now FAA Designated Airworthiness Representative. "We have helped many aviation organizations around the world ensure continued compliance with government-mandated regulations and quality standards." Since our company's inception we have been providing FAA aircraft certification services. We now have a network of FAA Designated Airworthiness Representatives and Designated Engineering Representatives to handle the most demanding of certification projects. We have performed numerous certifications on airplanes and helicopters both small and large. Clicking on the "Aircraft Certification" button on the left of this page will take you to our aircraft certification web site. There you will find a wealth of information related to the FAA aircraft certification process. In 1998 we produced our first regulatory training product for Singapore Airlines. In 2003 we developed a stand alone CD ROM training program teaching the new FAR 145 regulation. We recently released a new online version of our FAR 145 Training Course and are now working on additional web-based regulatory training titles that will be available in the near future. We also provide technical support for aircraft leasing companies during aircraft lease transitions. We can oversee the maintenance being performed as well as audit the records for accuracy and compliance with FAA and EASA regulations. Our client list includes major aircraft leasing companies from around the world.